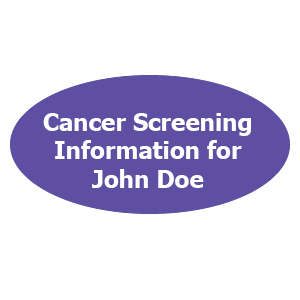 Breast cancer screening. 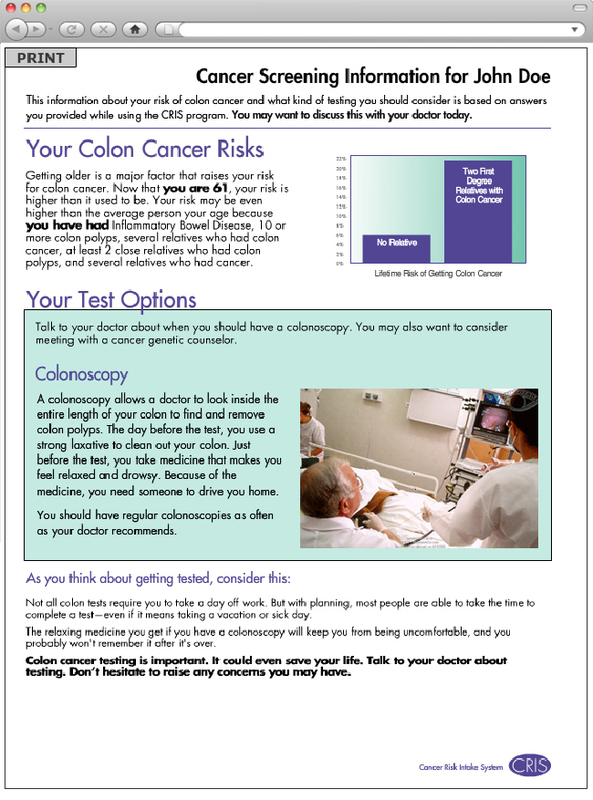 Colon cancer screening. 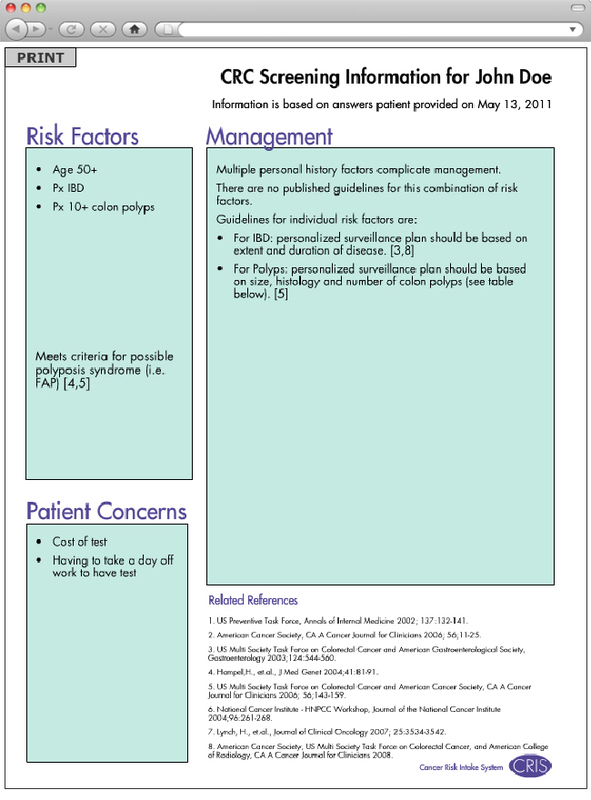 Patients with general practitioner appointments. General practitioners. 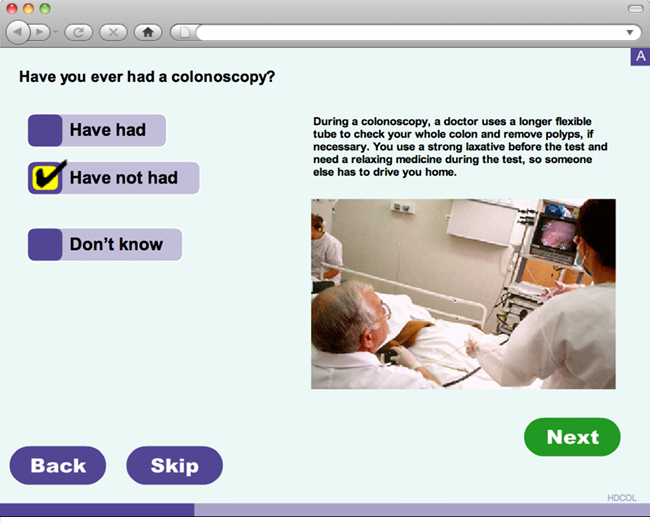 Promote discussion of breast cancer and colon cancer risk between patients and their doctors. 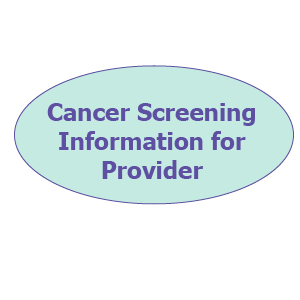 Promote risk-appropriate cancer screening. 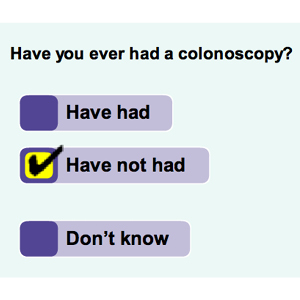 Tablet-based collection of cancer risk information in the waiting room. Individually tailored printed report for patient. Individually tailored printed report for provider. University of Texas Southwestern. Duke University. Funded by the National Cancer Institute.